As you can see, I flipped the sketch to work for what I wanted, but that's what so great about Jen's sketch. I can see so many possibilities with it. You are going to have as much as I did with it. I know I will be using this sketch over and over again! Love how clean and pretty this is! And I also love yellow roses! Such a great stamp set and you have used it beautifully!! The flip on the sketch is smart, too! I love these happy, springy colors. Just what I need to see as we head into fall! Beautiful card, Linda! I love the white space, and the colors are so fresh and clean. The detail on the leaves is so pretty -- great stamp set. So sweet! I love your use of polka dot paper with those fun round roses! 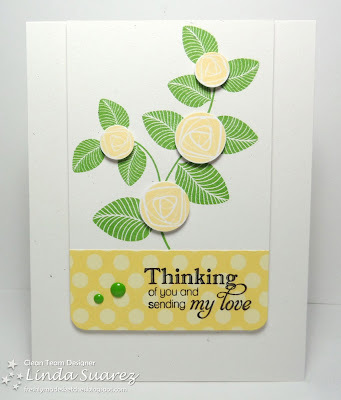 Such a pretty card and love those roses! So cute! Beautiful card Linda! I love those yellow roses! The yellow and green are so fresh looking! Your mom will love it! I love the way you used the sketch! 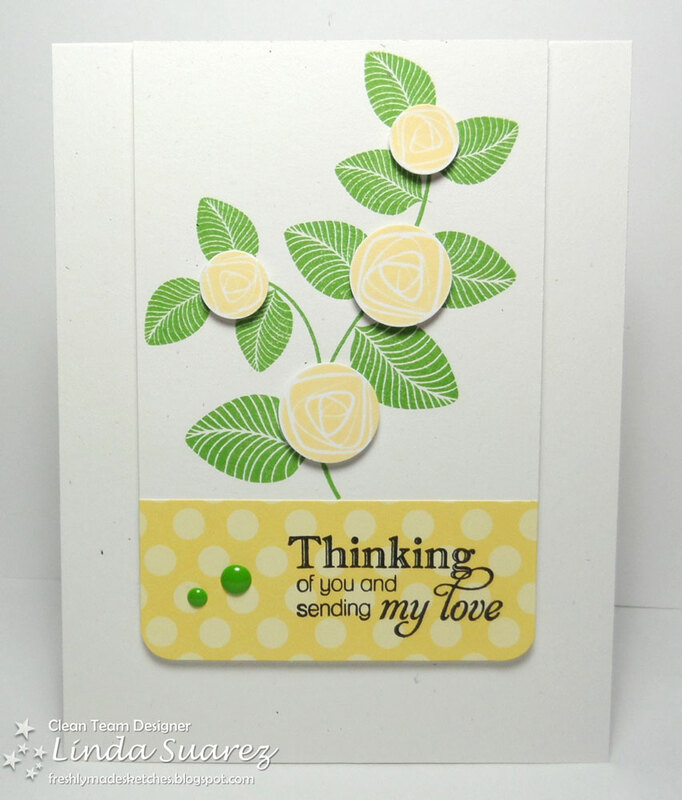 The roses and the colors are beautiful, and I love how you stamped the sentiment on the DSP. Very pretty card for your mom!